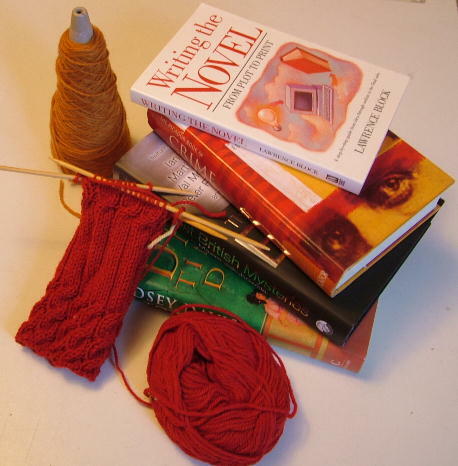 This is a blog about crime fiction and knitting (although not neccessarily in that order) as well as all the other stuff in my life. 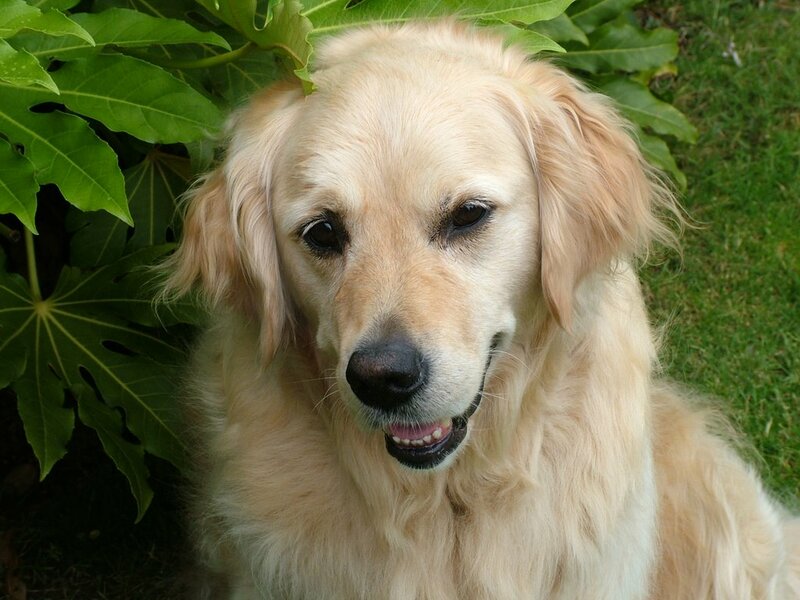 I'm Pat and I live in the West Midlands of England with my husband, daughter and golden retriever. I'm a second-hand bookseller by trade, and I love books, crime fiction in particular, so there will be regular updates on what I'm reading and what I think of it. I don't just read crime though, I also like historical fiction, and all sorts of other things that catch my eye as they pass through my hands as stock. Knitting is the other obsession in my life so there will be similar updates on work in progress and finished projects etc. I'm not an expert knitter, having only recently come back to it after not knitting for about fifteen years, so you can expect much gnashing of teeth and frogging of erroneous knitting. I'm loving all the new, fantastic yarns available now and have already amassed a considerable stash and a growing list of projects I'd like to knit. More on that as we go on. Currently I'm reading Master of Souls by Peter Tremayne. This is the first Sister Fidelma book I've read, and I'm only reading it because it's one of the set books for my crime fiction reading group. Medieval crime is not really my bag, but I did join the reading group to make myself read things that were outside my normal comfort zone. I'm not really enjoying Master of Souls. It's taking a little while to get going - I'm on page 65 and there's a lot of explanation and not a whole lot of plot movement going on. Still, I shall persevere with it and perhaps it will get better. I'm getting to the end of the Juno cardigan from Rowan Magazine 40. I'm knitting it in Rowanspun Aran, shade 962, as the recommended yard (Rowan Wool Cotton, knitted double) was just too expensive. (I'm a knitter on a budget!) . The Rowanspun was on special offer as it's been discontinued. I got it at Knit2together which is a wonderful shop in Wolstanton, Newcastle-under-Lyme. 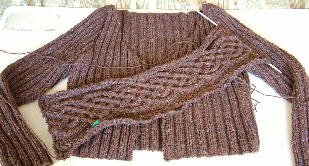 Anyway, the body of the cardigan is done, which is a great relief as it was allover rib and very slow. I just have the celtic cable collar to finish and the button bands. I'm really pleased with it so far, despite the soul-sucking rib (note to self: you hate knitting rib, please remember this in future). This is first time I've signed up for a knit-along thing so I'll let you know how I get on. I'm looking forward to it. I just love to knit socks and I got the Lucy Neatby - Cool Socks, Warm Feet book last week at the Knitting & Stitching Show at the NEC and some great hand-dyed sock yarn so I'm all set. Ok, I think that's it for now. Hope you enjoyed my first attempt at blogging!